The latest edition of Doctor Who Magazine is out from today, including an exclusive feature on the first new Doctor Who Target novelisations based on 21st-century episodes, also on sale from today. 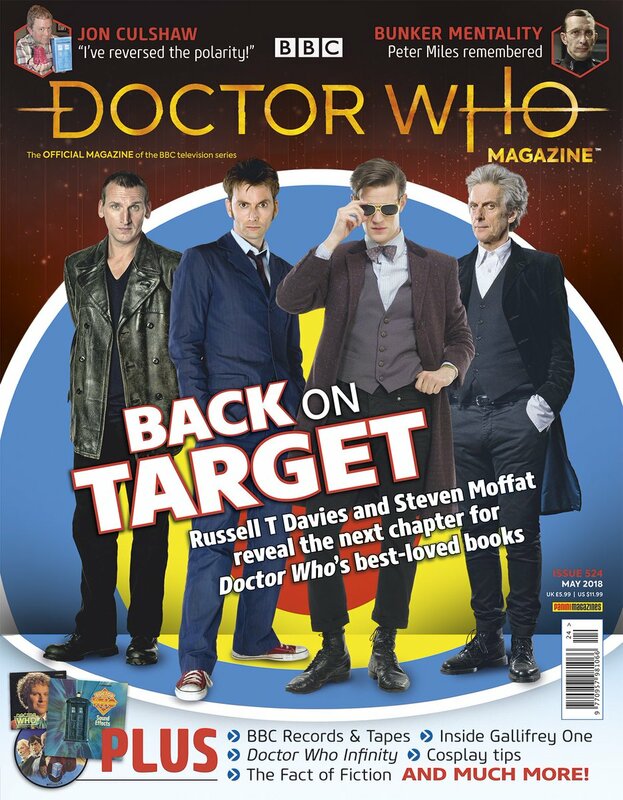 Doctor Who Magazine #524 features interviews with the four authors involved with the new adaptations published under the Target imprint – Russell T Davies (Rose), Steven Moffat (The Day of the Doctor), Jenny T Colgan (The Christmas Invasion), and Paul Cornell (Twice Upon a Time). As well as the usual news, reviews and features, this month’s edition of Doctor Who Magazine also includes a look at the upcoming new game from Tiny Rebel Games, Doctor Who Infinity, ‘Out of the TARDIS’ with impressionist Jon Culshaw, and a tribute to Genesis of the Daleks villain Peter Miles, who passed away in February. Doctor Who Magazine #524 is out from today, priced £5.99.